The V-Series vertical bulletin panel system is raising the bar with its unique features and design that make it the strongest and easiest to use panel system in the industry. With a standard panel width of 24" and lengths of 8', 10', 10'6", 12', 14', and 15', you have the ability to create a variety of sizes capable of stopping audiences in their tracks. To help you achieve broader market coverage, the V-Series system features our custom trim cap, which is easily installed in the field, providing a smooth wrapping surface giving you the ability to rotate your message from one location to another without the fear of tearing the vinyl. Durable 20-gauge steel panels are galvanized (G90) coated to provide a 50% thicker coating than the industry standard, ensuring an unusually long life. Each panel is engineered to be user friendly, featuring HOOKON stiffeners that allow effortless and secure installation to the stringers. 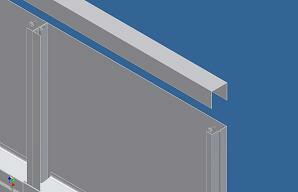 Tired of bent panel edges? The strength of the two-inch deep sides are more than twice as thick as anything else in the industry. The tongue and groove design precisely align and lock panels together without requiring pins, clips or keys. Have a custom size? We can help with that too. The V-Series is a STRONG Panel, backed by STRONG Solutions. Provides much needed rigidity making manuverability in the field much easier. 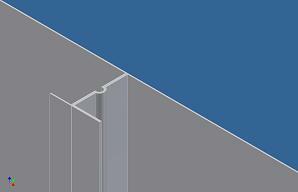 Combined with the 2" depth of the panel eliminates bent edges from vinyl tightening. Stamping process gives the deepest and strongest sides in the industry, eliminating bend edges caused by vinyl tightening. 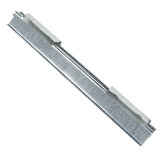 Designed to provide easy installation with a firm grip to stringers. Durable protective coating prohibits corrosion and rusting for a longer life. 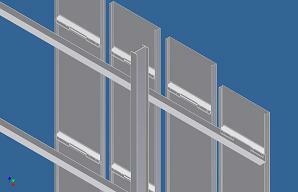 Interlocks each panel firmly together preventing wind blow through. 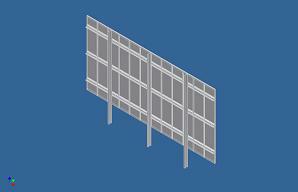 No Welding or pop-rivets necessary, panels come complete and ready for easy installation. Back-to-Back positioning saves floor space and provides easy storage. Sizes and fabrication available to help with your specific needs. Looking for information on an easy turn key solution on this product? Check out our Turn Key page and we can get you started in the right direction! V Series Panels being installed on stringer. 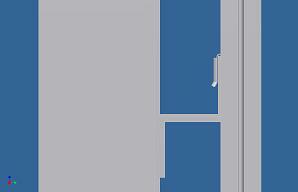 Panels self align with tongue and groove sides. 2" deep sides make strongest panels in the industry. Side view of HookOn stiffener attached to stringer. Trim Cap being installed using Self Drilling Tek screws. Finished Product as seen from the back. Unique stiffener design firmly grips stringers, eliminating the need for a hook and pin system. Installed at customer specified locations using steel pop rivets to insure a strength and easy installation. Strongest and Easiest in the Industry! The V-Series is manufactured with a G-90 Galvanized steel in a standard 24" wide, 2" deep configuration for a long life. Tongue and groove beads provide easy alignment. Innovative Galvaneal Trim Cap are easily installed in the field using self tapping tek screws, eliminating sharp edges for a smooth wrapping surface. Comes in 12' sections, covering 6 panels at a time.